Citing social stigmatization around opioid use, patients are turning to electronic nerve stimulation, meditation, and medical marijuana. A national survey released June 21 suggests that the opioid crisis is triggering a dilemma for those who live with chronic pain. The dangers of opioid use — and the growing stigma around the medication — has prompted legitimate patients to look for other kinds of pain therapy, according to the study. But alternatives can be hard to find because the medical community has been relying on opioids for so long. The survey suggests a kind of vicious catch-22 for those who need pain therapy, even if they don't have any abuse or addiction problems with opioids. Conducted by the independent market research firm Vanson Bourne, the survey was commissioned by NeuroMetrix, a healthcare company that makes wearable devices to treat chronic pain, sleep disorders, and diabetes. The company also makes the digital device Quell, an over-the-counter wearable device that uses electric stimulation for treating chronic pain. Clearly, NeuroMetrix has a stake in investigating market responses to alternative pain therapies. But the company has fully disclosed the survey's sponsorship and methodology — and the numbers reveal some interesting trends. According to the survey, 84 percent of respondents — all of whom identified as chronic pain sufferers — believe that there is now a significant stigma around opioid use. Fifty percent said they felt personally stigmatized, and fifty percent also said they had lied in the past about their opioid use because of attitudes toward the drug. The study surveyed 1,500 adults in the United States between the ages 25 and 70. 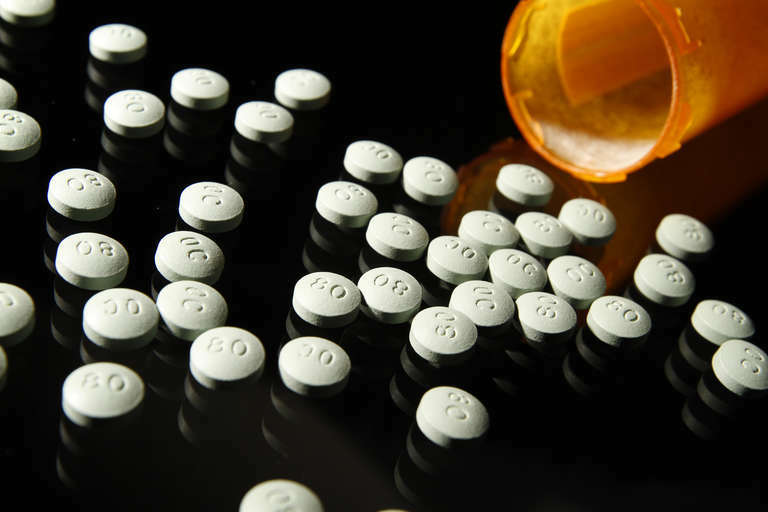 The respondents report that increasingly negative attitudes toward opioids have impacted their own treatment programs. Thirty-four percent of those surveyed said they have had to stop taking opioids because their doctors would no longer prescribe them. “I think that the most significant finding is that the stigma around opioids and recent restrictions is affecting the care that chronic pain sufferers receive, forcing them to take care into their own hands, with 90 percent actively seeking new treatments,” said Frank McGillin of NeuroMetrix. Of those alternative solutions, the survey identified the ten most common non-opioid treatment methods. Physical therapy was the most common, with 65 percent of respondents having undergone PT regimens. Forty-four percent said they have tried transcutaneous electrical nerve stimulation — like the Quell device — which send electrical currents across the surface of the skin to activate the underlying sensory nerves. Thirty-two percent of respondents said they have tried herbal remedies or natural supplements, and 16 percent said they have used medical marijuana. Other treatment methods include yoga/pilates/meditation (28 percent), acupuncture (21 percent), and cognitive behavioral therapy (16 percent). McGillin said that he hopes the survey will help spur discussion about including the chronic pain patient in the national conversation taking place around the opioid crisis.